So, the demand of this technology is growing very vast and would be evergreen in tech industry.This course is an entry level introduction to developing and deploying solutions for the AWS Based Problems. 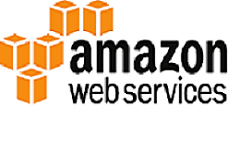 Throughout the the entire course , our goal is to enlighten and make you professional in Amazon Web Services Technologies.After attending this awesome training with us, your professional carrier in Amazon Web Services Technolgy is surely boosted up. When the world’s smartest companies such as Microsoft, Google, Oracle and IBM are investing heavily in Machine Learning (ML), the world is going to sit up and take notice. Try reading up on Microsoft Project Oxford, IBM Watson, Google Deep Mind, and Oracle BIWA cloud, and you’ll understand what I am trying to get at. 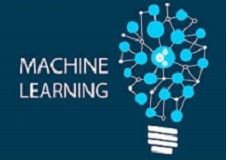 So, the demand of this technology is growing very vast and would be evergreen in tech industry.This course is an entry level introduction to developing and deploying solutions for the Machine Learning. Throughout the the entire course , our goal is to enlighten and make you professional in Machine Learining technologies.After attending this awesome training with us, your professional carrier in Machine Learning Technolgy is surely boosted up. I don’t need a hard disk in my computer if I can get to the server faster… carrying around these non-connected computers is byzantine by comparison.” - Steve Jobs, Co-founder, Apple Inc. Cloud computing is a scalable services consumption and delivery platform that provides on-demand computing service for shared pool of resources, namely servers, storage, networking, software, database, applications etc., over the Internet. It is a model for enabling ubiquitous, on-demand access to a shared pool of configurable computing resources, which can be rapidly provisioned and released with minimal management effort. So, the demand of this technology is growing very vast and would be evergreen in tech industry.This course is an entry level introduction to developing and deploying solutions for the Cloud Based Problems. Throughout the the entire course , our goal is to enlighten and make you professional in Cloud Computing Technologies. After attending this awesome training with us, your professional carrier in Cloud Computing Technolgy is surely boosted up. Getting Placed in Information Technology Field or Software Development Field is easier but having a good placement in these domains are challanging for everyone. Since the Computer Science Industry comprises mainly two types of companies -1.Product Baesd Companies and 2. Service Based Companies. Both the industry demand good skilled candidates in any programming language(C/C++/Java/Python/C#) ,Data Structures, Algorithms, Database Management System, Computer Networking , Computer Architecture and Graphics , Complier Design along with excellent communication and aptitudal skill. It is difficult for a student to manage these heavy demands in a short term period. It is tough for them to learn or quit the concepts because they don't know the current trend or the current companies hiring mindset. So, with the great discussions and common consignments with hundreds of techprofessionals ,We have desinged our "Placement Boosting" course. 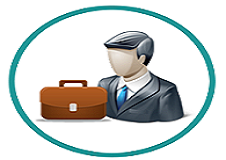 This course will prepare you for the placements in IT or Software fields in an easy and handy way.Comparing with other courses , this course is delivered by our most experience trainers at all our training locations.So, with the best trainers ,your dream to get a good job in IT/Software fields are assured. To increase your placement opportunities, We would conduct a test at the end of training and Your progress report of this test is sent to more than 60 companies to provide you a platform for further interviews or other selection processes as per companies requirements. Apart from this , We have also marked with various placement platforms like Amcat , Anjel-Jobs, Shine , Fresher's World,Indeed , Internshala , Geeks For Geeks, Hackerrank , Hackerearth ,Aspiring Minds and many more. So , Its a full fun educational course for each and every students. This powerful framework was developed by Microsoft and it stands for Active Server Pages .NET. Ultimately, this valuable programming tool is perfect for programmers and developers looking to build rich websites and web applications that are completely dynamic. 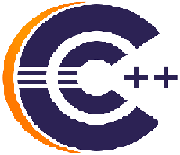 To take full advantage of this programming opportunity, you need to know and understand compiled languages like C# and VB. As far as web development models go, this one definitely has some major advantages that we’re happy to tell you about right now. According to Stackify.com, asp.net logging best practices experts, “If you are converting your application from ASP.NET to Core, you won’t have to make any code changes.” And that’s just one great example of many reasons why this is the perfect web development model. "Core Java" is Sun Microsystem's term, used to refer to Java Standard Edition(J2SE) and a set of related technologies, like the Java VM and CORBA.It is basically about application monitoring and management , Java Naming and Directory Interface (JNDI) , syntax and semantics of Java and Tools API. Java is everywhere in our day-to-day life. "More than 3 Billion devices run Java"- Oracle says. So, the demand of this technology is very vast and would be evergreen in tech industry. So, Our course is designed to teach you this awesome technology from novice to strengthen level.Throughout the the entire course , our goal is to enlighten and make you professional in Java technologies.After attending this awesome training with us, your professional carrier in Java Technology is surely boosted up. Advance Java used to refer to Java Enterprise Edition (J2EE) and a set of related technologies ,like Servlet, Java Server Pages(JSPs), Enterprise Java Beans(EJBs) and Filters.Advance java is the specialisation in some domain of Java , as someone in networking,Web application development ,DCOM,or database handling.So, fundamental building of cool stuffs in Web-based applications or other Enterprise Applications is the main part in Advance Java . It is also about swings,socket,awt,threads as well as collection object and classess. Seems difficult !!! Don't Worry. We have designed a simple course for this. So, Our course is designed to teach you this awesome technology from novice to strengthen level.Throughout the the entire course , our goal is to enlighten and make you professional in Advance Java technologies.After attending this awesome training with us, your professional carrier in Advance Java Technology is surely boosted up. Android is a software bunch comprising not only operating system but also middleware and key applications.It is a mobile operating system developed by Google, based on the Linux kernel and designed primarily for touchscreen mobile devices such as smartphones and tablets. It's user interface is mainly based on direct manipulation, using touch gestures that loosely correspond to real-world actions, such as swiping, tapping and pinching, to manipulate on-screen objects, along with a virtual keyboard for text input. World is contracting with the growth of mobile phone technology and the involvement of Android in this field is just amazing.So, the demand of this technology is very vast and would be evergreen in tech industry. So, Our course is designed to teach you this awesome technology from novice to strengthen level.Throughout the the entire course , our goal is to enlighten and make you professional in Android technologies and Android Application Development.After attending this awesome training with us, your professional carrier in Android Technology is surely boosted up. The Internet of Things (IoT) is a system of interrelated computing devices, mechanical and digital machines, objects, animals or people that are provided with unique identifiers and the ability to transfer data over a network without requiring human-to-human or human-to-computer interaction. The IoT allows objects to be sensed and controlled remotely across existing network infrastructure,creating opportunities for more direct integration of the physical world into computer-based systems, and resulting in improved efficiency, accuracy and economic benefit. So, the demand of this technology is growing very vast and would be evergreen in tech industry.This course is an entry level introduction to developing and deploying solutions for the Internet of Things. It will focus on capturing data from a trusted device and sending the data to a cloud platform where it can be exploited by the many services available.Throughout the the entire course , our goal is to enlighten and make you professional in IOT technologies.After attending this awesome training with us, your professional carrier in IoT Technolgy is surely boosted up. Python is an interpreted, object-oriented, high-level programming language with dynamic semantics. 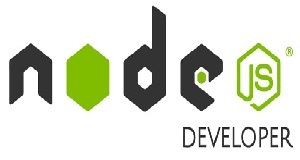 Its high-level built in data structures, combined with dynamic typing and dynamic binding, make it very attractive for Game Application Development, as well as for use as a scripting or glue language to connect existing components together. Python's simple, easy to learn syntax emphasizes readability and therefore reduces the cost of program maintenance. Python with PyGame is always the top choice for every game developer. You can write whole games in Python using PyGame.Pygame is a set of Python modules designed for writing games. Pygame adds functionality on top of the excellent SDL library. This allows you to create fully featured games and multimedia programs in the python language. We love games but never thought about its development. Having a couple of games in your smartphones or laptops,developed by yourself, sounds very cool and exciting.So, We are here with you.So, Our course is designed to teach you this awesome technology from novice to strengthen level.Throughout the the entire course , our goal is to enlighten and make you professional in this technology "Game Development using Python".After attending this awesome training with us, your professional carrier in Game Development is surely boosted up. Big data is a term for data sets that are so large or complex that traditional data processing applications are inadequate to deal with them. 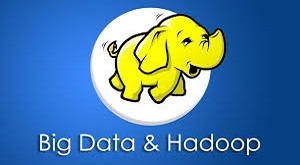 Challenges include analysis, capture, data curation, search, sharing, storage, transfer, visualization, querying, updating and information privacy.Hadoop is an open source, Java-based programming framework that supports the processing and storage of extremely large data sets in a distributed computing environment. It is part of the Apache project sponsored by the Apache Software Foundation. With the development of World towards Internet , the data are increasing drastically day by day over the internet . So , to manage the data we need Big Data and Hadoop technology. 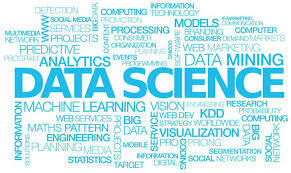 So, the demand of this technology is growing very vast and would be evergreen in tech industry.This course is an entry level introduction to developing and deploying solutions for the Big Data problems. It will focus on maintaining data from a trusted device using Hadoop as Software As a Service(SAS).Throughout the the entire course , our goal is to enlighten and make you professional in Big Data technologies.After attending this awesome training with us, your professional carrier in Big Data Technolgy is surely boosted up. PHP: Hypertext Preprocessor is the general-purpose programming language for the server side scripting language for the web development. In addition, the codes have the capability of deploying on the most web servers, operating systems and platforms for GUI applications. The three things that make it popular are that it is easy: easy to use, easy to learn, easy to implement. Even it is free and runs on almost any web server. It is both a scripting language and a collection of tools to perform various functions in an HTTP and web. It can create dynamic and static web sites. However to be a dynamic developer there are plenty of institutes dealing with this course. 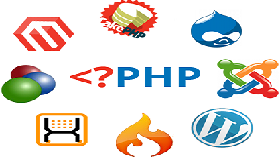 The courses on PHP, enables the learner to be a creative and innovative designer over HTTP. Indeed to mention regarding the trainers, the institute should have dynamic and professionals expertise to provide the entire concept in a delicate and in a lucid manner. 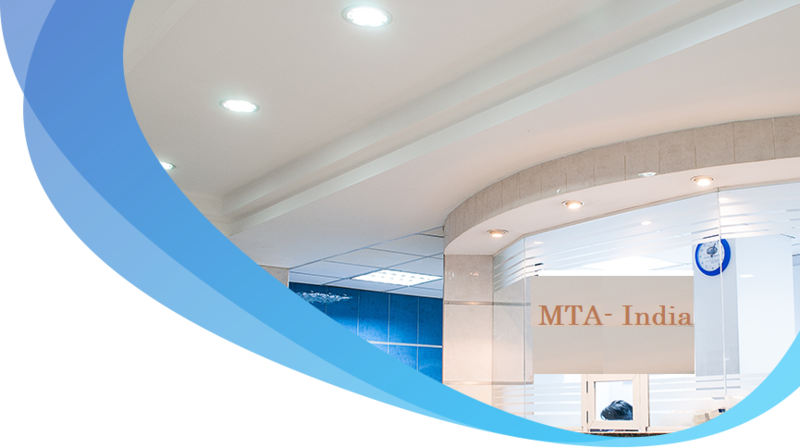 Among various training classes, MTA India is one those, having handy experience trainers to deliver the best concept to the students. 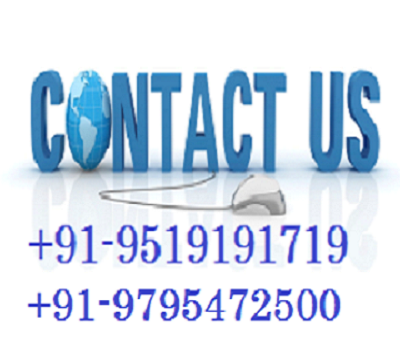 The team of professionals over this institute has wide spectrum to make the dreams alive of the web developer. Therefore, run to the nearest centre and enroll yourself in the live training sessions.